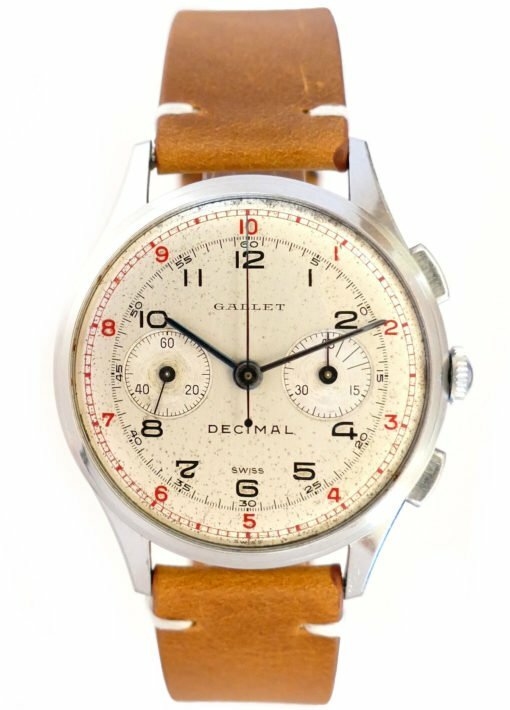 Very Rare Gallet Multichron Decimal Dial Chronograph with Stainless Steel Case, Original Dial and Swiss Made Excelsior Park Movement. 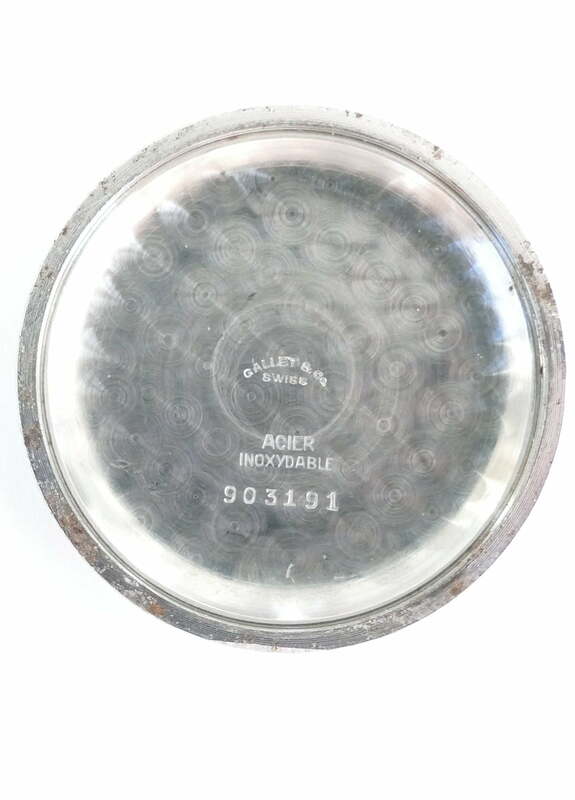 The Case On This Chronograph Is Deceptively Large, Measuring 36mm in Diameter Excluding the Winding Crown. The Dial is Stunning With Its Contrasting Red Decimal Track Used to Time Events to the 1/100 of a Second. 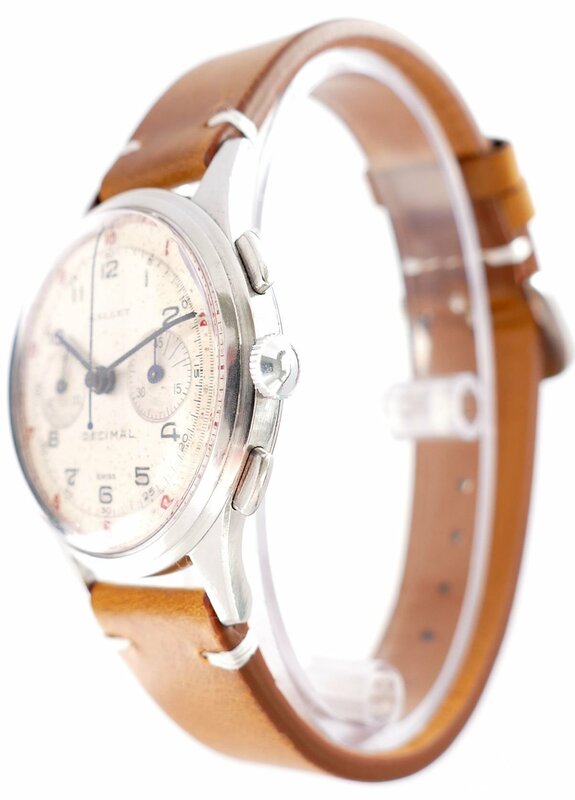 Signed Gallet on the Dial, Case and Movement. 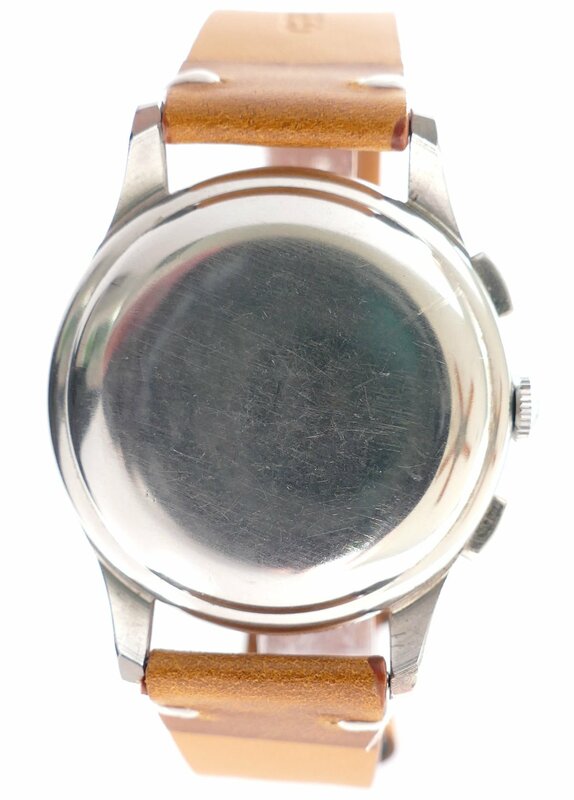 36mm Diameter Stainless Steel Case with Stepped Bezel and Flat Chronograph Pushers. Signed Inside Gallet & Co. Original Dial With Red Decimal Track and Black 1/5 Seconds Track. 45 Minute Register at 3:00 and Constant Seconds at 9:00. Black Numbers (check out the fancy hooked 7) with Contrasting Blued Steel Hands. The Dial is Signed Gallet, Decimal and Swiss. 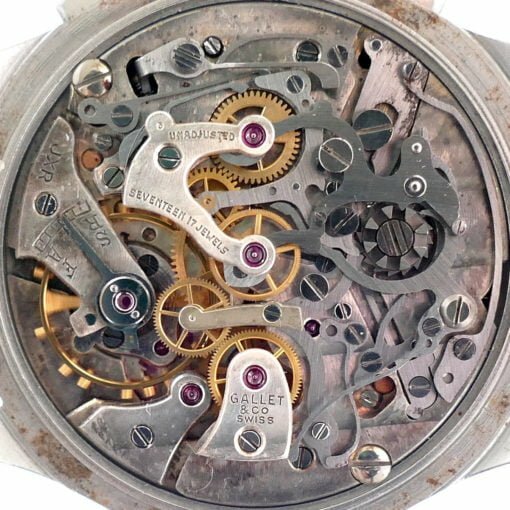 Excelsior Park 40 Manual Wind Chronograph Movement with 17 Jewels Signed Gallet & Co, Swiss.